We are proud to offer you the Highest Quality Purified Shilajit Resin, in its natural form direct from the High Altitudes of Siberia, in organic Miron Glass, said to be one of the most protective and functional of all containers. Why Choose Hybrid Herbs Shilajit Resin? 100% Natural And Purified. Hybrid Herbs Shilajit is 100% Natural, with nothing added or taken away. Direct From The Source. Our Shilajit comes directly from the high altitude mountains of Siberia, without any middlemen, and therefore we can offer you the absolute best price and quality. Genuine, Highest Quality Resin, Hybrid Herbs Shilajit has a distinctive, smokey taste with a black gummy appearance. All characteristics of genuine shilajit. Packaged in Organic Violet Glass. We package our Shilajit in stunning violet glass containers, which are 100% recyclable and reusable. Violet Glass is thought to be the most protective of all containers. Good for you and the planet. Shilajit, or Mumiyo, is a black mineral pitch found all over the world, especially in the high mountains of the Himalayas and parts of Asia. Shilajit comes from Organic Vegetable matter which works its way through high altitude mountains, rocks and cliffs, and over time, oozes out of the cracks and transforms into the resin that is known as Shilajit. Shilajit has been treasured for thousands of years in Ayruvedic Medicine as "The Destroyer Of Weakness" and described as a healing tonic against many ailments, including fatigue, stress and inflammation. What Are The Health Benefits Of Shilajit? Shilajit translates as "Winner Of The Rocks" and is believed to be one of the richest sources of minerals found in nature. In fact, some believe Shilajit contains up to 85 minerals and trace elements. 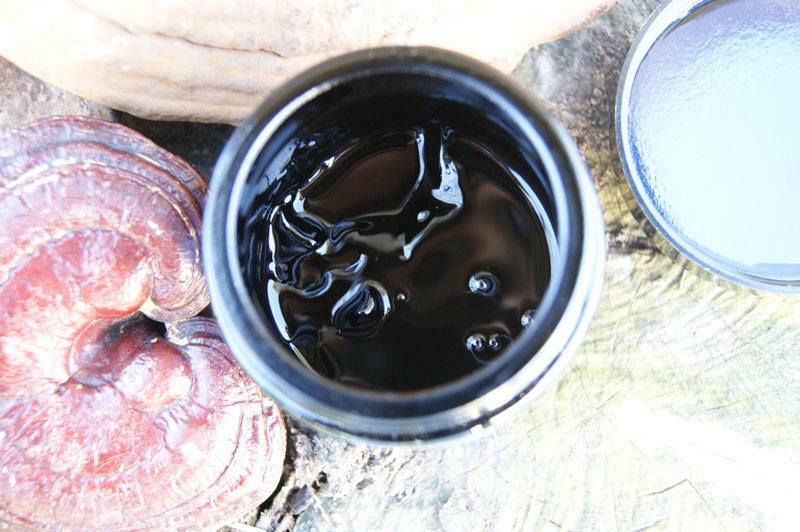 Although human studies are limited, Shilajit has been used in various regions over time to rejuvenate the body, increase wound healing, promote healthy aging and mental clarity, and strengthen the immune system. A little goes a long way with our pure shilajit resin, so you’ll only need to use a pea-sized amount (300mg-500mg) for each serving. Allow the shilajit to dissolve in a glass of warm water for an elixir with a rich, smoky flavour that is packed full of goodness. This is such an amazing supplement and has brought about a tremendous health change in me. It has a strong bitter taste but this is something that is lacking in the western diet and so brings a deep harmonising effect to the body by balancing that taste with daily use. It definitely helps other medicinal herbs be taken up and absorbed when added to the hot drink elixir that is made daily for this body. Cannot recommend it enough. 5 stars. Tis is a very good product. I've just begun using shilajit. And, so far, it seems to help my overall feeling of better health. I have been using Shilajit continually for the past 2 years, buying from various companies and countries. All the products I received seemed to be of similar quality and efficacy with a slight variation in taste. However I was not confident of hygiene or quality control standards and was not at all happy with the little plastic pots that other companies use. My instinct leads me to trust Hybrid Herbs and they certainly make the effort to provide quality dark glass containers and excellent customer service. For the past year I have only bought from this company and am very satisfied. I have a very restricted diet and malabsorption amongst other issues and find that Shilajit consistently helps me and provides me with highly nutritional bio-available minerals. Testing myself kinesiologically on all my supplements shows other supplements to sometimes be beneficial and sometimes not. Shilajit is the only supplement that has consistently showed as being beneficial for me. I usually take it in a mug of hot Broth in the morning. There is no need to continually stir, just leave it for about 2-3 minutes and it will dissolve gradually with the heat. Then stir to mix in. I like the unusual sweet & sour liquorice taste and I love the calming, clear energised feeling it gives me. It is a natural superfood courtesy of Mother Earth. This mountain blood (shilajit) is one of my go to daily tonics and it's a direct deliverer of potent life force. It helps with fatigue, digestion and clarity. I can't recommend it enough and think we should be taking it daily. If you're a bit scared, don't be, you can sweeten it with honey which also helps to synergise the shilajit and even add it to a hot chocolate for enjoyment. I like mine with a little turmeric and black pepper in the morning for an outrageous boost. I love the stuff! I take it every morning on an empty stomach. I have tried other suppliers but prefer Hybrid Herbs Shilajit by far. love the spacious glass jar. I have bought several times and will continue bying from Hybrid Herbs. Been using shilajit resin for over a year now and friends and family have noticed an increased youthful experience,feeling it too. Various shilajit company used,but hybrid herbs quality and price cannot be beaten. I will be a long term customer. Shilajit works. And I've tried everything. Very pleased with it. Subtle and effective. Love the jar. Will continue buying it.